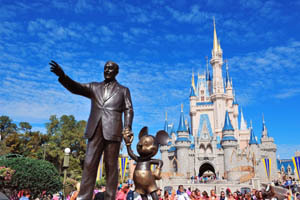 Disney World in Florida, the United States of America is an international and popular vacation spot. 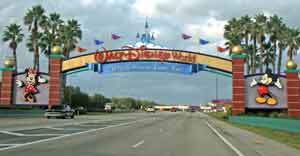 Walt Disney world contains four theme parks, two water parks, several golf courses too. 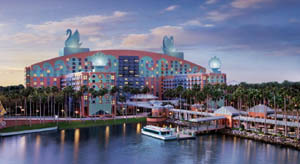 It encloses multiple hotels and a transportation system that includes the famous Disney monorails. It is really wondering how vast Disney world is!!! Floridaâ€™s Disney world is a large town-sized place resort. It sprawls about 40 square miles which is equivalent to San Francisco, USA. Only 35% of the Disney Worldâ€™s land has been developed. Walt Disney world was opened on October 1st, 1971. It is the most visited place by all country people. Walt Disney announced the Florida project in 1965, but he died of lung cancer at his age of 65, December 15th, 1966. By 1967 Walt Disney world resort work began. Year by year many entertainments, resorts, villas, bungalows have been added. 10,000 guests attended the grand opening of Disney world. After the grand opening, Bob hope, Glen Campbell, and Julie Andrews performed here which was telecast nationally. Today on an average of 47,000 visitors visit the Magic Kingdome (Theme Park) alone. Around 110 lakhs people have been visiting Epcot, 99 lakhs people have been visiting Disneyâ€™s Hollywood Studios and Disneyâ€™s the Animal Kingdom annually. By anticipating hurricanes the Disney world closed for three times. I.e. in the years of 1999, 2004 twice. In September 11th, 2001, within 30 minutes the employees evacuated the guests from the theme parks. After the twin tower attack, the Federal Aviation Administration kept a flight restriction over the Disney World Resort. Every year the park finds out 6,000 cell phones, 3,500 digital cameras, and 18,000 hats are left out by the visitors. Cinderellaâ€™s castle stands about 189 feet tall which is made of fiberglass followed by Space Mountain at 183 feet. Walt Disney holds the popularity of employing more than 62,000 people as a part of their cast. They are the US largest employer. Disneyâ€™s infrastructure contains more than 270 buses and it has been the third largest bus system in the US behind Jacksonville and Miami. At holiday times the wonderful resort decorates the place with more than 1500 Christmas trees. During the demise of Apple co-founder â€œSteve Jobsâ€, Disney world flew its flag at the half-staff as a mark of paying homage. Mr. Steve Jobs was the Disneyâ€™s largest shareholder and was one of the board of directors. The hottest creatures at the Animal Kingdom are the blue people of â€œAvatarâ€. A new section with 3D rides, Pandora â€“ The world of Avatar begins on May 27th, 2017. Enjoy your expedition and adventures irrespective of age. There are many Disney characters throughout the Disney world. When you board over your safari vehicle into savannah, you experience like you are in Africa. In the morning times animals will be more active, so start your expedition in the morning to enjoy the nature. This educative and entertaining boat ride takes you through an indoor greenhouse which shows you the alternative methods to grow crops, fish, feed people in the ruthless environment. A character meal food is delicious and it is a fantastic way to sit, relax and interact with characters. Big Thunder Mountain Railroad, Space Mountain, and Splash Mountain are the spots of adventurers. The view of Cinderella castle is goose bumping from the top of the mountain and riding Splash Mountain at night will be thrilling. You can enjoy the 12 minutes 3D film and it is a treat to both your eyes and ears. Songs from the popular Disney movies, favorite characters, especially Donald Duck are ever entertainers. A 30-minute performance of the popular Lion King Movies along with music and acrobatics for all ages is a visual delight. Amazingly talented actors not only sing but also hold large puppets during their play and sometimes they use to swing from cables in the air. Since Orlandoâ€™s weather is not stable it is better to plan your Disney world visit. Weather wise, January â€“ April is the best time to visit. The temperature will be warm with a light drizzling during the months. In the summer months, the average temperature seems to be 28 degree Celsius which would be prickly hot. 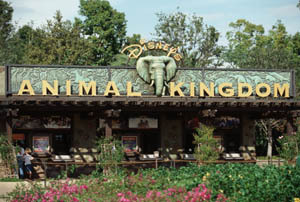 There are umpteen hotels, restaurants, resorts, luxury, and budgetary accommodation in and around Disney world. The choice is yours.